On November 28, 2014, 98 year-old David Douglas Duncan spent the evening regaling guests at the Leitz Park Wetzlar with accounts of his fascinating life as a photographer. Wine was imbibed, anecdotes exchanged. A wonderful time was had by all, according to all extant accounts. His visit marked the introduction of a new exclusive Leica M special edition: the M3D ‘David Douglas Duncan’, the aim to honor the former Life photographer as one of a distinguished group of Leica photographers well as to celebrate 60 Years of M Photography. 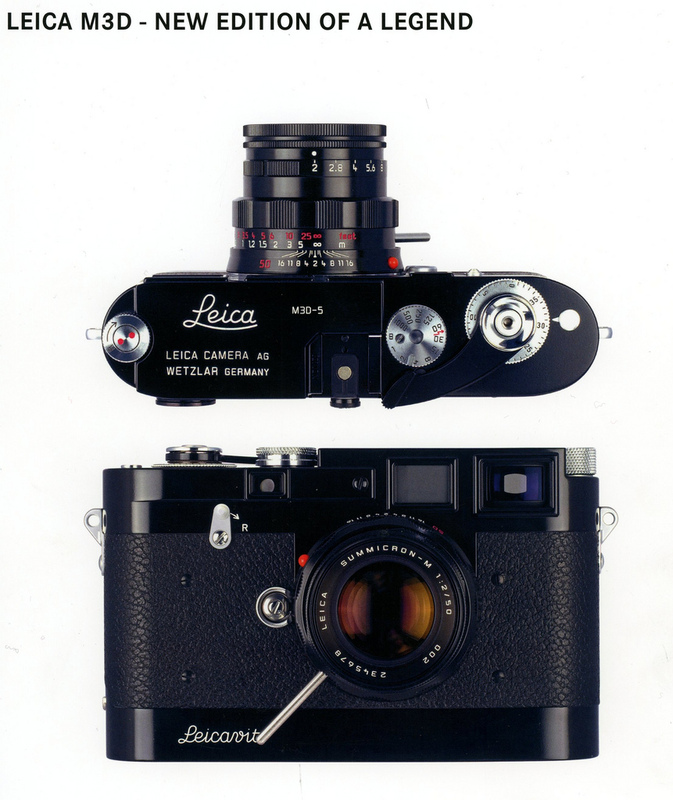 The special edition Leica M3D is limited to 16 units. It is an exact replica of the four M3D’s Leitz created for Duncan in 1959. 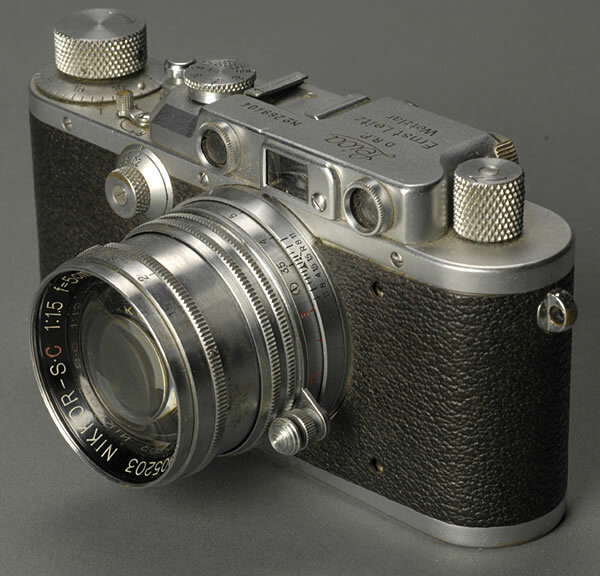 The original M3D was an M3 designed to use a Leicavit winder. The original M3D became the basis for the Leica MP, which Leitz manufactured in small production runs from 1956, and was specifically aimed at professional photojournalists. During his career as a Life photographer, Duncan became closely associated with Leica – to the point that they manufactured the original M3D for him. Ironically, Duncan, who used a IIIc throughout his coverage of the Korean War, mounted Nikkor lenses on his Leica, most notably a Nikkor-S.C. 50mm 1.5. Duncan had been introduced to the Nikkor optics on a visit to Tokyo in 1950. His use of the then little-known Japanese optics helped set in motion the wider acceptance of Nikon products and Nikon’s rise to prominence in the 1960’s in conjunction with the slow transformation of the Leica M from a pro’s working tool to what is now a luxury boutique item. In 1950 Duncan visited Japan to take pictures of traditional Japanese arts. While there his assistant, a young Japanese photographer working as a Life stringer, Mr. Jun Miki, took his photograph with an 85mm f2 Nikkor on a Leica IIIf. This candid shot of Duncan by Miki turned out to be one of the most important photographs in the history of Nikon and Japanese camera makers. Shown the enlarged 8 x 10 photograph, Duncan was astonished at the sharpness and the image quality of the Nikkor and sought to meet with its manufacturer. A meeting was arranged between Duncan and Life photographer Horace Bristol, with the president of Nippon Kogaku, Dr. Masao Nagaoka. After Nagaoka loaned various Nikkors to Duncan and Bristol for testing, both ended up replacing their personal lenses with Nikkors. Shortly after, The Korean War commenced, and Duncan shot his iconic war reportage with a Leica…and Nikkors. Duncan used two Leica IIIc, both fitted with Tewe Polyfocus finders and the Nikkor 5cm. The effect was immediate. Life cabled Duncan after receiving his first Korean photographs, quizzically inquiring, “Why are you using a plate camera?? ?” The difference the Nikkors produced was easily seen. The slightly higher contrast range of the Nikkors translated better for newsprint output than the lower contrast of the Leitz optics, yielding better prints for newsprint’s resolution of around 80/120 lines. Within weeks every Life staff photographer passing through Tokyo had bought a set of Nikkor lenses. Carl Mydans and Hank Walker, two photojournalists covering the Korean War, also purchased Nikkors on Duncan’s advice. Walker also purchased a Nikon S body. The Korean War took place during a bitter Korean winter, with temperatures routinely below -30 C. While many cameras froze and wouldn’t work, Walker’s new Nikon S worked perfectly throughout and produced the photographs that won the U.S. Camera Prize in 1950. Mydans’ photographs, also using Nikkor optics, subsequently won the prize as well. On December 10th, 1950 the New York Times featured a full article on the emergence of Nikon’s use in the ranks of professional photojournalists, and Popular Photography soon followed with articles of its own. Gradually more Korean War era photojournalists shifted to Nikkors, with some using Nikon S bodies in preference to the Leica. Nikon capitalized on its professional popularity by establishing repair support and cleaning services for those with the assignments in Korea, benefiting from the input of those using the Nikon S and lenses in the harsh Korean environment. Not many companies have the luxury of such extensive in-field testing, and Nikon ultimately used these experiences to develop the iconic Nikon F.
Nikon has always been a curious mix of tradition and innovation. Unlike Leitz, they early on recognized the future potential of SLR cameras. Based partly on input from photographers like Duncan using their cameras in the Korean War, Nikon realized that SLR cameras provided advantages not available with rangefinder cameras. In 1955 Nikon launched a program for the development of SLR cameras in conjunction with the development of SP and S3 as the successors to Nikon S2 (1954). Nikon adopted the same body mechanism as in the SP/S3 to produce the F, employing the layout and geometry of the shutter button, film wind-up lever and other components except for the viewfinder and other parts essential for SLR cameras, with the intent to produce the Nikon F in parallel production with SP and the S3. The rest, as they say, is history. 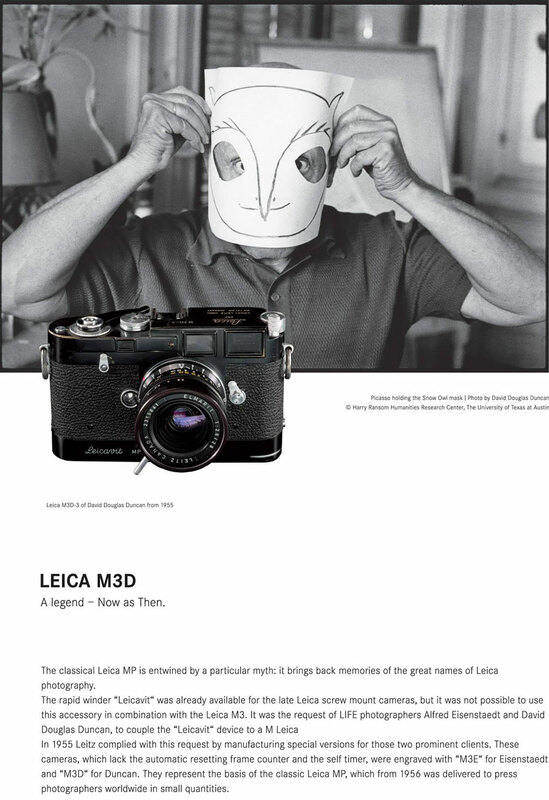 This entry was posted in Collectible Leicas, Famous Leica Users and tagged David Douglas Duncan, Leica and Nikon, Leica M3D, Nikkor LTM, Nikon F on February 15, 2015 by Leicaphila.